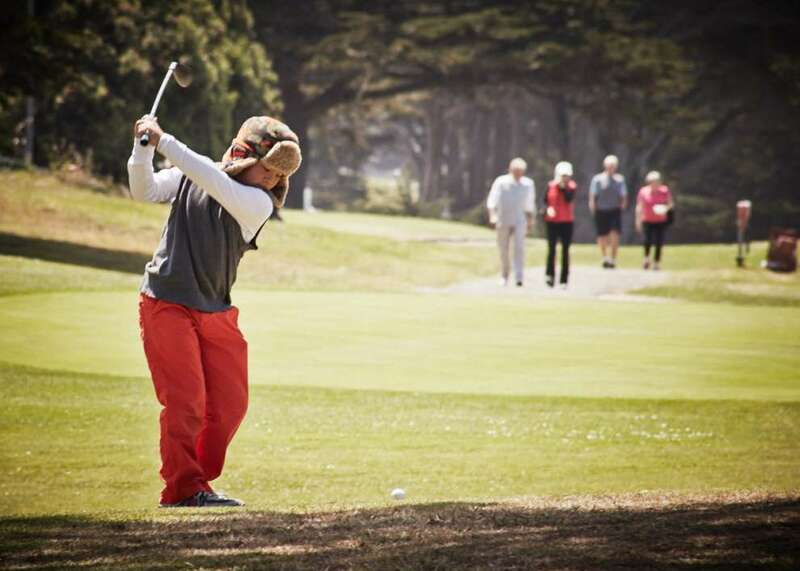 The fight to Save Sharp Park Golf Course is at a critical juncture. You can help. California’s Coastal Commission will hold a public hearing Thursday, April 16, 9:00 a.m. in San Rafael on the Sharp Park Pump House Project – This is the first stage of the City’s plan to renovate Sharp Park Golf Course and improve the frog habitat. The Commission’s April 16 calendar is LINKED HERE. Your San Francisco Public Golf Alliance supports the Project. A copy of our detailed letter of support is LINKED HERE. The Pump House Project includes habitat enhancement for the frog and snake, construction of a new frog pond south of the pump house, much-needed infrastructure work at Sharp Park including safety improvements at the pump house, moving the cart path out of the lake at Hole 15, and dredging cattails from a small area of Horse Stable Pond and the connecting channel. The Project was approved by the U.S. Fish & Wildlife Service in 2012 after a 17 month study, approved by the U.S. Army Corp of Engineers in 2014, voted on and approved by the San Francisco Planning Commission, the San Francisco Rec and Park Commission, and the San Francisco Board of Supervisors in 2014. It is also supported by the County of San Mateo, the Pacifica City Council and the previous and current mayors of San Francisco and Pacifica. The Coastal Commission’s Staff, in an April 3 Report (LINKED HERE), specifically recognizes the value of low-and moderate-cost public recreation and supports San Francisco’s permit application. Despite overwhelming scientific evidence, expert environmentalist endorsements, all relevant agency approvals, political support and popular support, a small but vocal group of eco-litigants are obstructing the progress of this important project in their continuing attempt to shut down the golf course entirely. They will be there to argue against the permit, with the usual mantra that the course loses money (untrue), kills frogs (untrue) and is not a worthy historic resource (untrue). We must demonstrate to the commissioners that the golf course - which was created by John McLaren and Alister MacKenzie in 1932; which boasts the highest rounds count of any course operated by the City & County of San Francisco; which has coexisted with the threatened species for almost a century; and which is a true community center in Pacifica - has tremendous public support. The most effective way to do that is to make sure the Coastal Commissioners see your support and hear your voice. 1) Sending an e-mail supporting the Project to the Coastal Commission. 2) Attending the Commission’s April 16, 9 a.m. hearing, and giving public testimony why Sharp Park Golf Course is important to you personally and to public golf. The Commission will meet in the Board of Supervisors Chambers at the Marin Civic Center in San Rafael (the Frank Lloyd Wright building). Let us know (at info@sfpublicgolf.org) if you will attend. For Directions to the Marin County Civic Center - LINK HERE. Address E-mails to Coastal Commission. Send to: stephanie.rexing@coastal.ca.gov. Subject Line: “Support for San Francisco Sharp Park Pump House Project, CDP No. 2-12-014”. Please copy us on your e-mails at info@sfpublicgolf.org. In your e-mail, tell the Commission why Sharp Park Golf Course is important to you and your family and friends and community. For a preview of what we can expect at the Coastal Commission hearing - this video of the March 23,2015 Pacifica City Council considering public comment and voting unanimously to send a letter of support for the project is instructive. The video is linked here (the Sharp Park agenda item is about an hour in length and starts at the 50 minute mark).